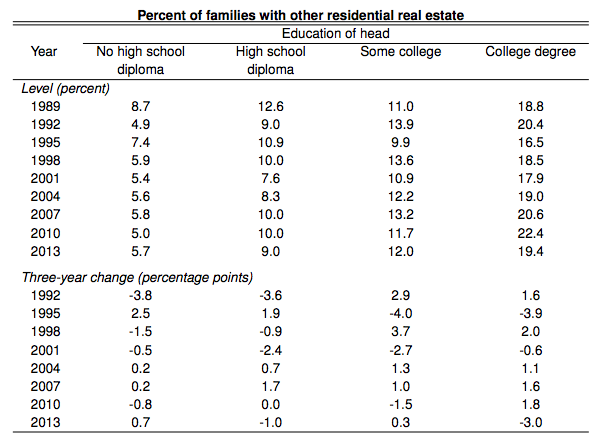 This is a roundup of basic statistics describing American homes including homeownership rates, housing starts, second home ownership, urban vs. rural home distribution, housing features distribution, total households, and home sales/spending. 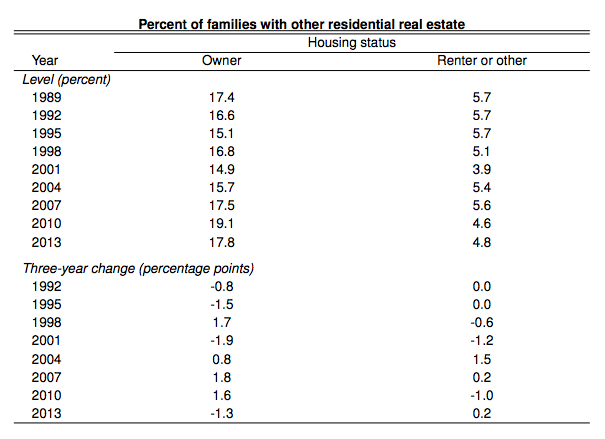 Most of the data are historic, with a couple forecasts (for housing starts and total households). Historic home ownership rates are available from the US Census Bureau from the present going back to 1965. Statistics broken down by age-group are available back to 1982. Decadal historic data for the number of vacation homes are available from 1940 to 2000 from the US Census Bureau. Biennial data for the number of seasonal homes from 1973 through 2005 have been aggregated by the US Department of Housing and Urban Development (HUD). 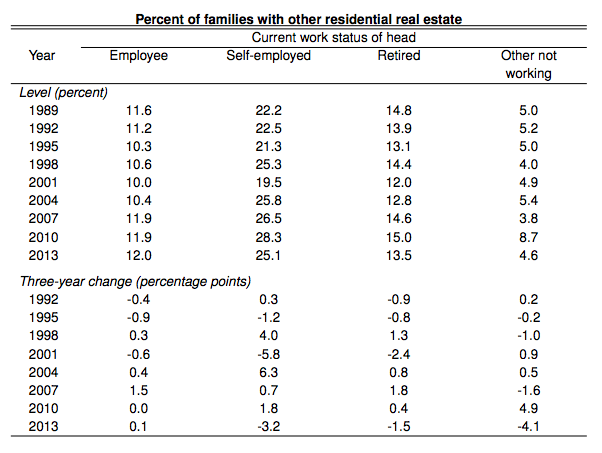 These figures just describe the number of second homes, but I’ve found a couple sources describing the number of households that own second homes (second home ownership rates). Statista has data for the number of people living in households that own second homes from 2008 to 2015. 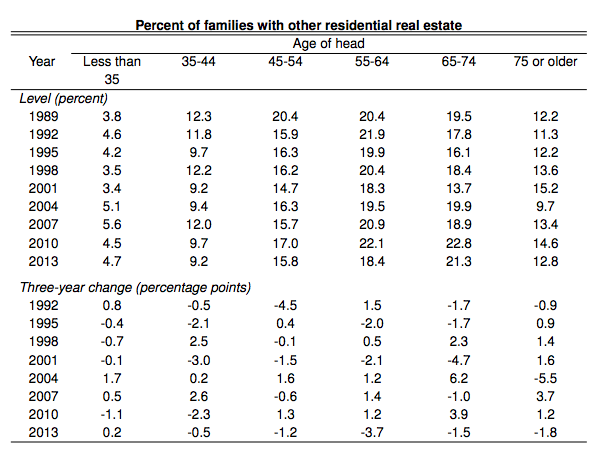 The US Federal Reserve (Fed) has “other residential real estate” ownership rates broken down by a variety of demographic characteristics going back to 1989 (their survey is conducted every three years). 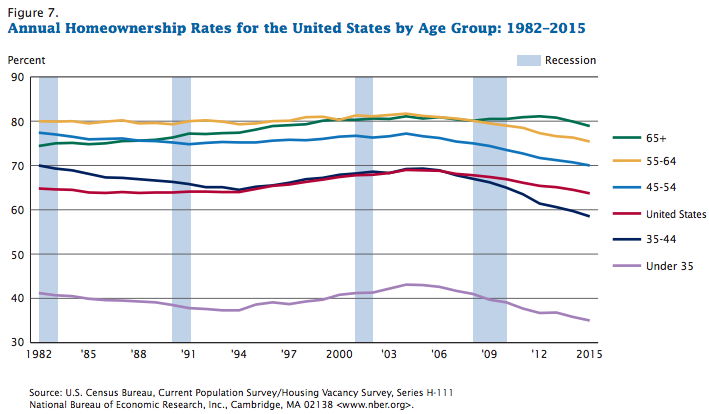 The Joint Center for Housing Studies Harvard University (JCHS) has a comparison of second homeownership by age for 1995 and 2004 (using data from the Fed). 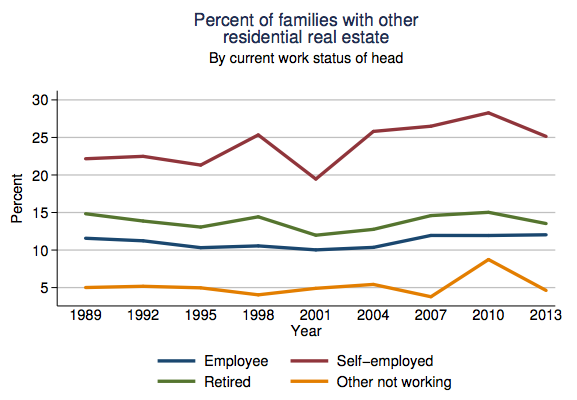 HUD has aggregated figures on the distribution of urban vs. rural housing from 1973 to 2005. The US Census Bureau has a collection of housing features data for new single family homes, multifamily units, and multifamily buildings. 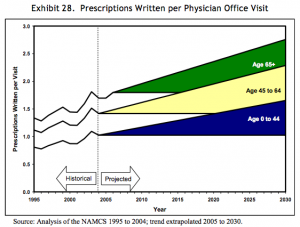 Many of the data points go back to 1973, some only to 2005. Features tracked include square footage, number of stories, number of bedrooms, number of bathrooms, number of fireplaces, type of heating system, type of heating fuel, type of foundation, type of parking, outdoor features, lot size, number of units sold by price. 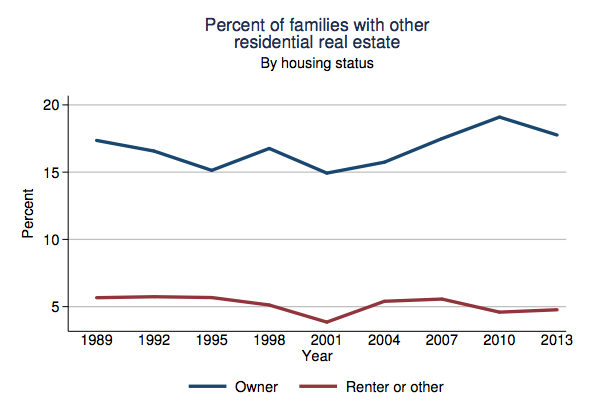 Figures include the total number of houses/units, and the percentage distribution. Statista has figures on the total number of US households from 1960 to 2015. The JCHS has a forecast (based on Census data) to 2035 for total households, as well as households by age, race, and occupancy relationships (single, married, families, etc). 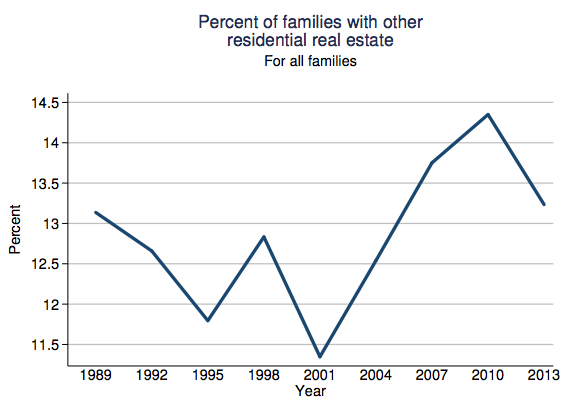 NAHB has a line chart showing the number of new single-family homes sold from 1978-2012. Annual numeric values for 2011-2015 are available in a separate NAHB document. 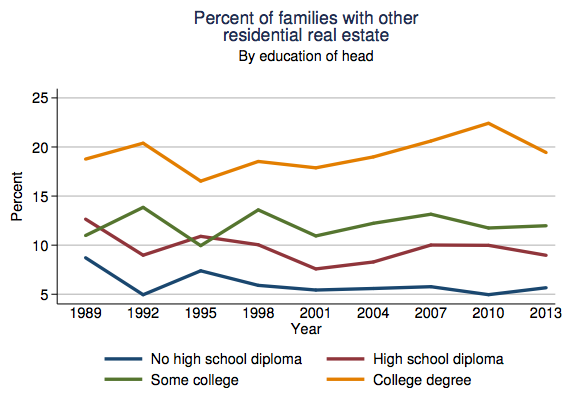 Data points for previous individual years may be available from NAHB upon request. 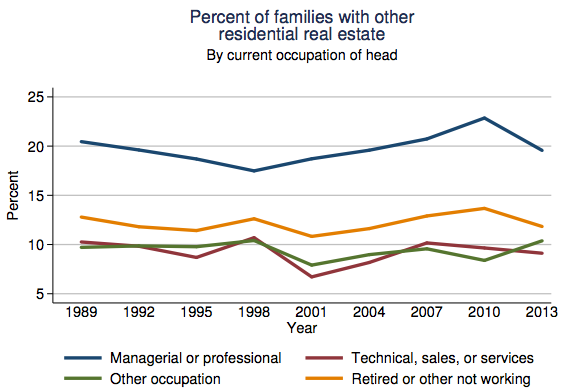 In any case, the Census has data on new residential sales going back to 1963. Census also has median and average sales prices for new homes sold back to 1963, and type of financing for houses sold back to 1988. NAHB has an indexed comparison between residential construction spending for single-family homes, multifamily units, and improvements from 2000 through 2016. US Census Bureau. Accessed May 16, 2016.
and imported to this Google Sheet. Current Population Survey/Housing Vacancy Survey, Series H-111. Forisk provides consulting services to the forest industry, wood bioenergy and timberland investing sectors. Brooks Mendell. April 22, 2016. 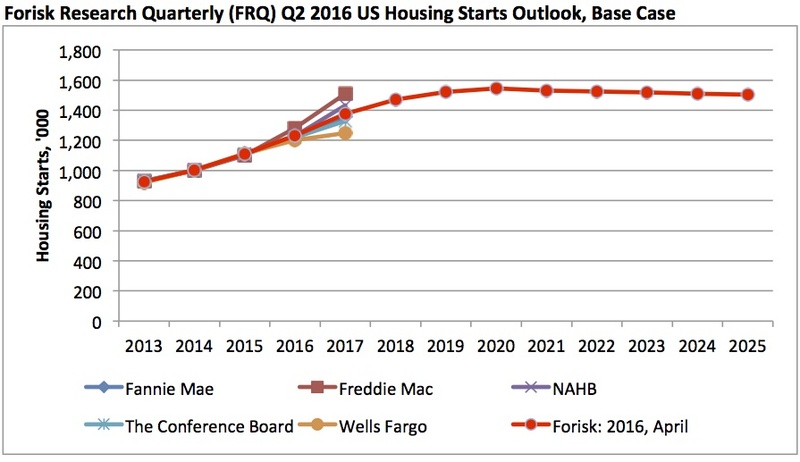 “Forisk Forecast: US Housing Starts Outlook, Q2 2016 Update.” Forisk. Accessed May 16, 2016 via the NAHB Forecasts page. Exported to this Google Sheet. 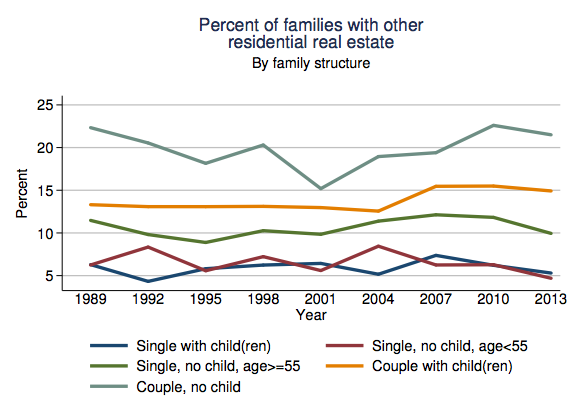 Note: Possible to infer multifamily starts from this chart by subtracting the single-family starts from total starts. US Census Bureau. Accessed May 18, 2016. Data likely comes from one of these time series, for example, which go back to 1959. Aggregated in the following Google Sheet. US Census Bureau. Accessed May 20, 2016. Note: the Census Bureau has annual data in individual annual reports, but this is the best aggregation I’ve found so far. Year-round units are either occupied or vacant. Note that “occupied” and “vacant” have precise definitions that do not coincide exactly with the common understanding of these words. A house may have one or more persons living in it, but if those persons typically reside somewhere else, the house is considered vacant from the perspective of the AHS. The decennial censuses use the same logic because this approach ensures that every household has one and only one place where it “resides,” and the approach also results in the number of households being equal to the number of occupied housing units. Using this logic, a unit is vacant if it is not the “usual residence” of some household. Defined this way, a vacant unit is in some sense an excess unit—like having more chairs than children in a game of musical chairs. 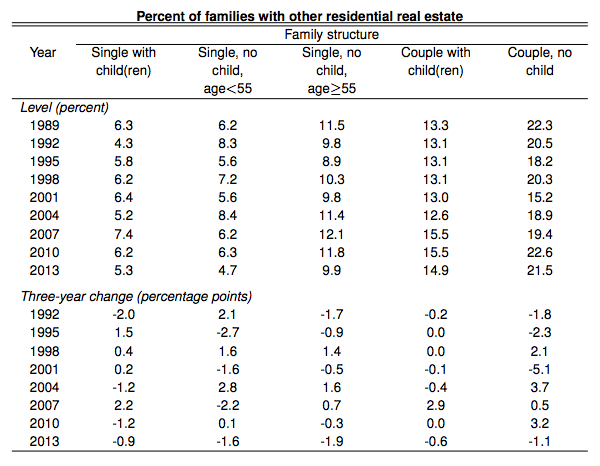 Table 1 shows that vacant units grew almost twice as fast as households between 1973 and 2005. This fact, combined with the growth in seasonal units, accounts for the increase in the ratio of housing units to households. 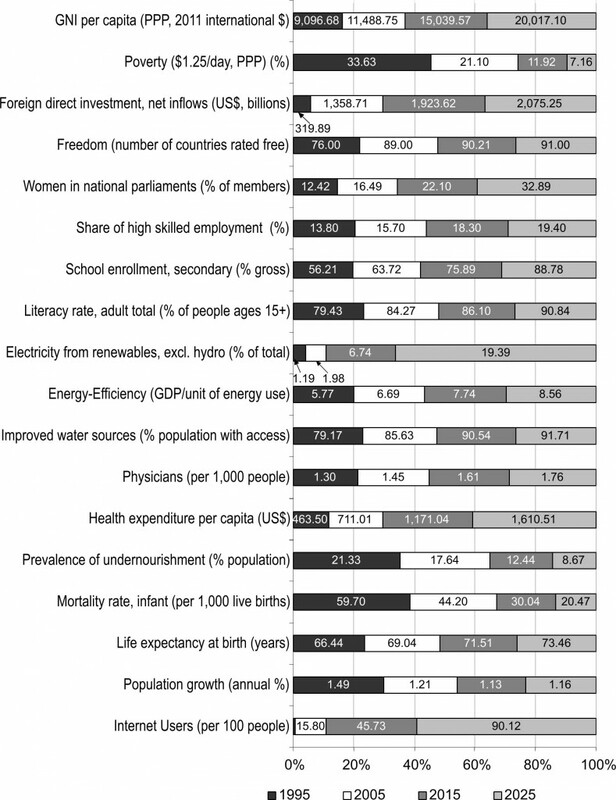 Data points aggregated in the following Google Sheet. Frederick J. Eggers, et al. October 2007. 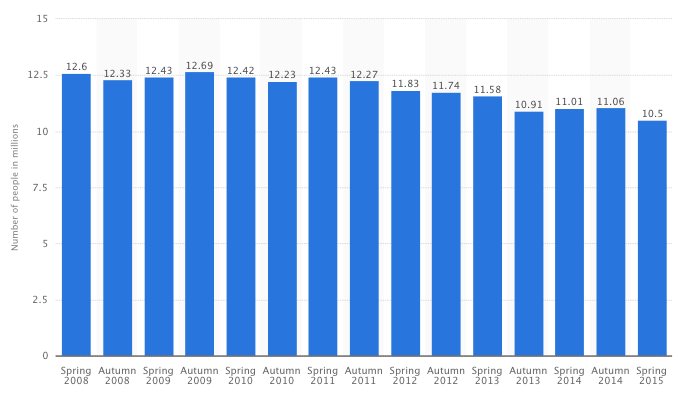 This statistic illustrates the number of people living in households that own a second home in the United States (USA) from spring 2008 to spring 2015. In spring 2008, the number of people who said they live in a household that own a second home in the United States (USA) amounted to around 12.60 million. Statista (source hidden). Accessed May 23, 2016. Note: I suspect the data either comes from the Census Bureau or the Survey of Consumer Finances, but I haven’t found the exact report/indicator. Survey of Consumer Finances. September 2, 2014. “2013 SCF Chartbook.” The 2013 Survey of Consumer Finances. Eric S. Belsky, et al. 2006. Joint Center for Housing Studies Harvard University. Note: The source explains that the American Household Survey, the Housing Vacancy Survey, and the decennial Census all include estimates of the number of second home units. Surveys that ask households about whether they own additional properties include: The American Housing Survey; the Survey of Consumer Finances (SCF); the Survey of Income and Program Participation (SIPP), the Panel Study of Income Dynamics (PSID), and industry surveys such as one of new homebuyers conducted by the National Association of Home Builders (2000) and by the National Association of Realtors® (NAR) of homebuyers and homeowners. However, the SCF, conducted by the Federal Reserve Bank, is the only survey conducted on a regular basis (every three years). 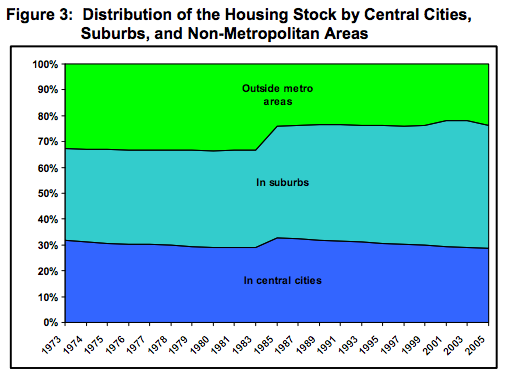 Figure 3 traces the changing shares of the housing stock in “outside metropolitan” areas, in suburbs, and in central cities. 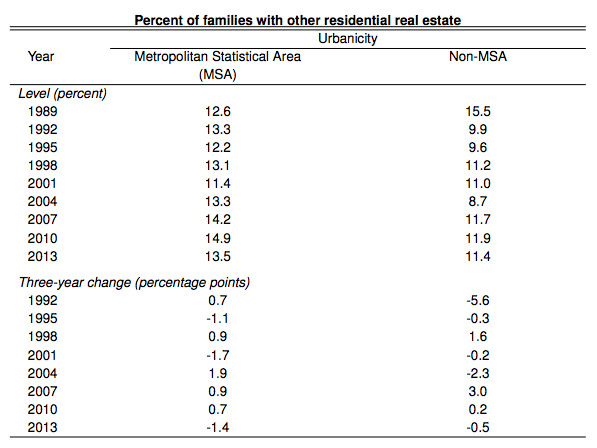 The over-the-period changes coincide with expectations; the suburban share is substantially larger in 2005, while the shares in central cities and outside metropolitan areas are smaller. However, the trends are not smooth. 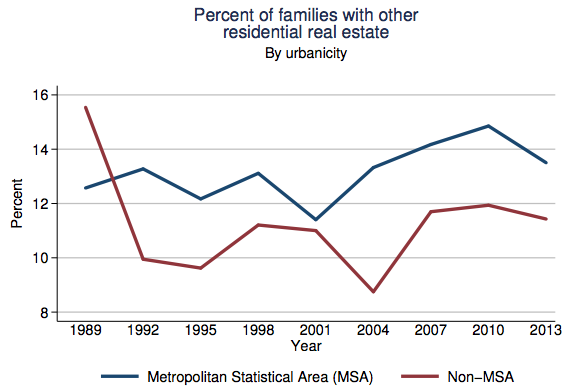 The share outside metropolitan areas falls sharply between 1983 and 1985, and the central city share generally declines except for a one-time increase between 1983 and 1985. 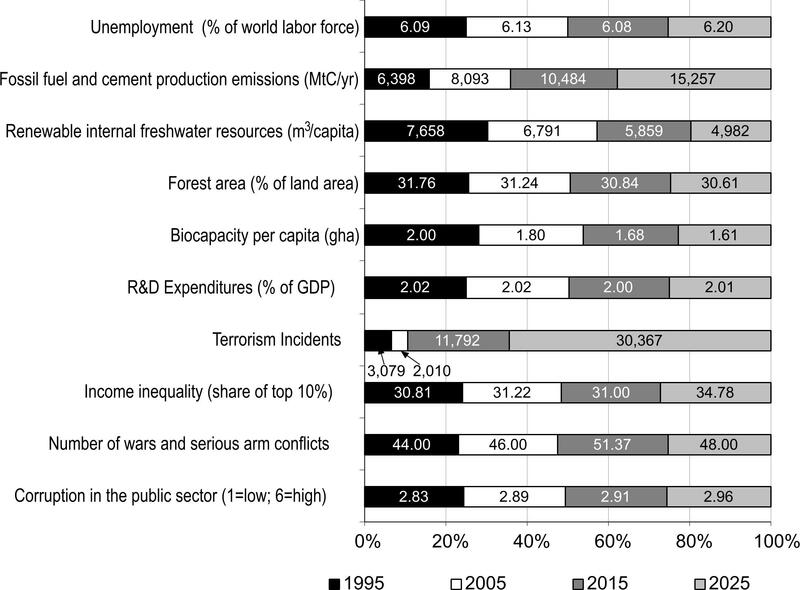 The discontinuities between 1983 and 1985 result from the introduction of new definitions of metropolitan area—changes that increased the population in central cities and suburbs at the expense of the non-metropolitan population. By 2005, suburbs accounted for 47 percent of the housing stock, central cities for 29 percent, and outside metropolitan areas for 24 percent. 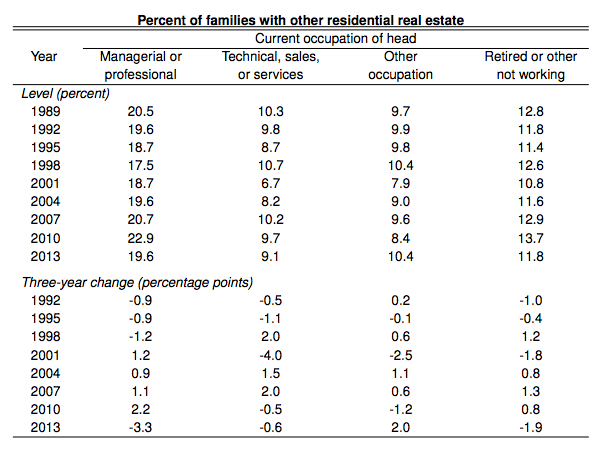 “32 Years of Housing Data.” P.7. 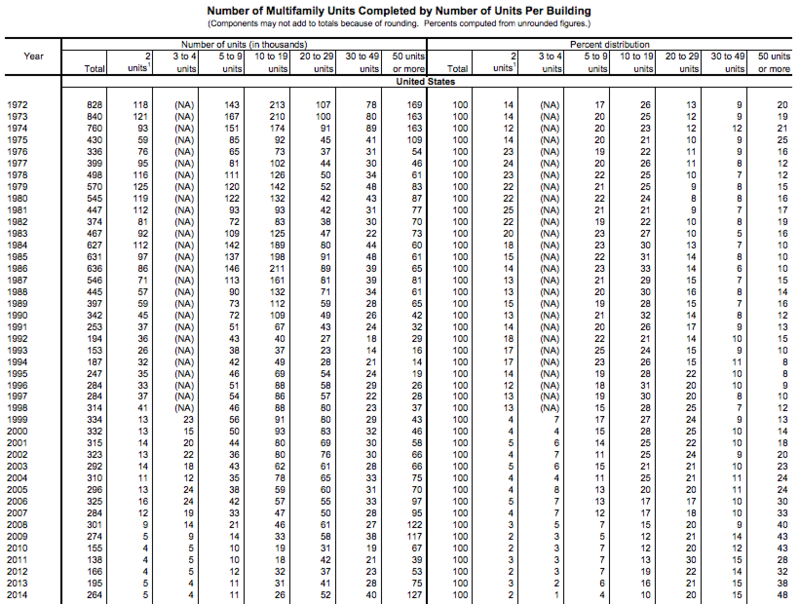 Summary of characteristics for new single family homes, multifamily units, and multifamily buildings in 2014. The Census data below is all also accessible through the Census Bureau’s “New Single-Family Homes in 2014” interactive graphic. Data for completed (but not necessarily sold) home are also available via that graphic. Note 1: Includes concrete block, stone, aluminum siding, and other types. Data prior to 2005 include fiber cement. Data prior to 1992 include vinyl siding. 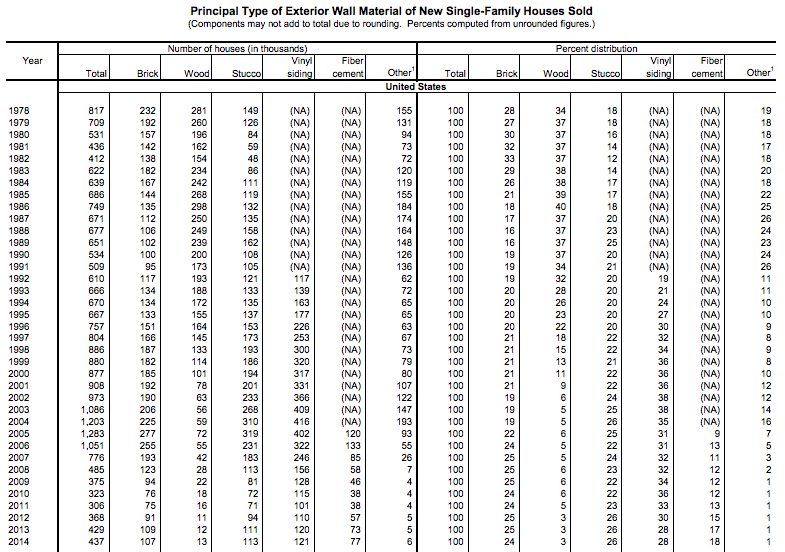 “Principal Type of Exterior Wall Material of New Single-Family Houses Sold.” P.1. “Square Feet of Floor Area in New Single-Family Houses Sold.” P.1. “Number of Stories in New Single-Family Houses Sold.” P.1. 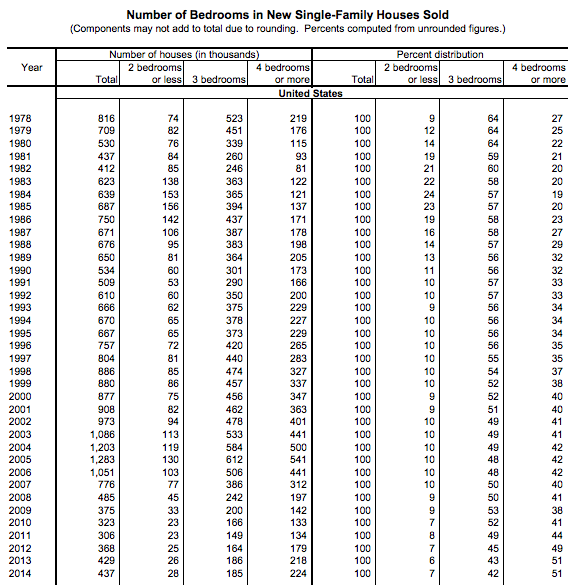 “Number of Bedrooms in New Single-Family Houses Sold.” P.1. 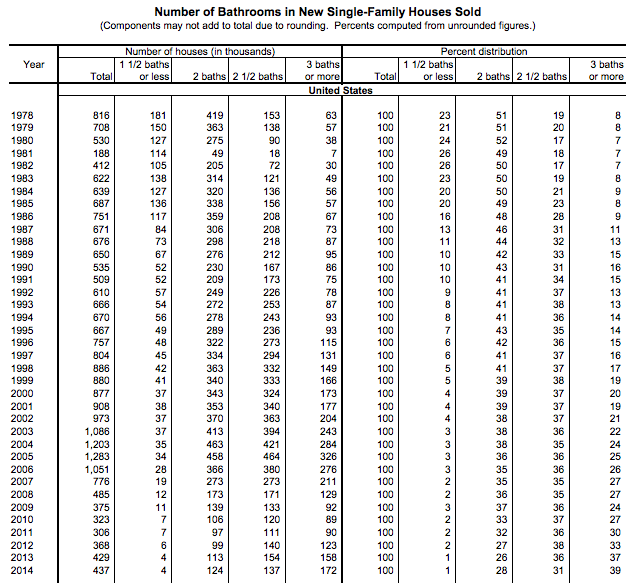 “Number of Bathrooms in New Single-Family Houses Sold.” P.1. 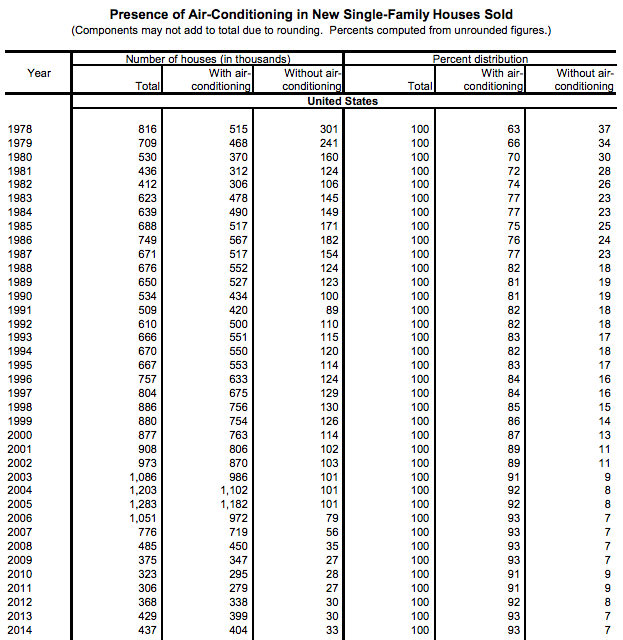 “Presence of Air-Conditioning in New Single-Family Houses Sold.” P.1. 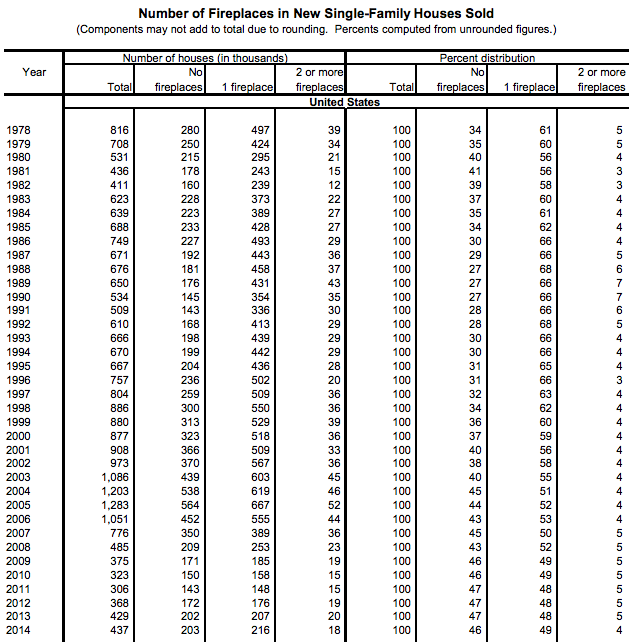 “Number of Fireplaces in New Single-Family Houses Sold.” P.1. Note 1: Includes both air source and geothermal (ground source) versions. Note 2: Includes electric baseboard, panel, radiant heat, space heater, floor or wall furnace, solar, and other types. 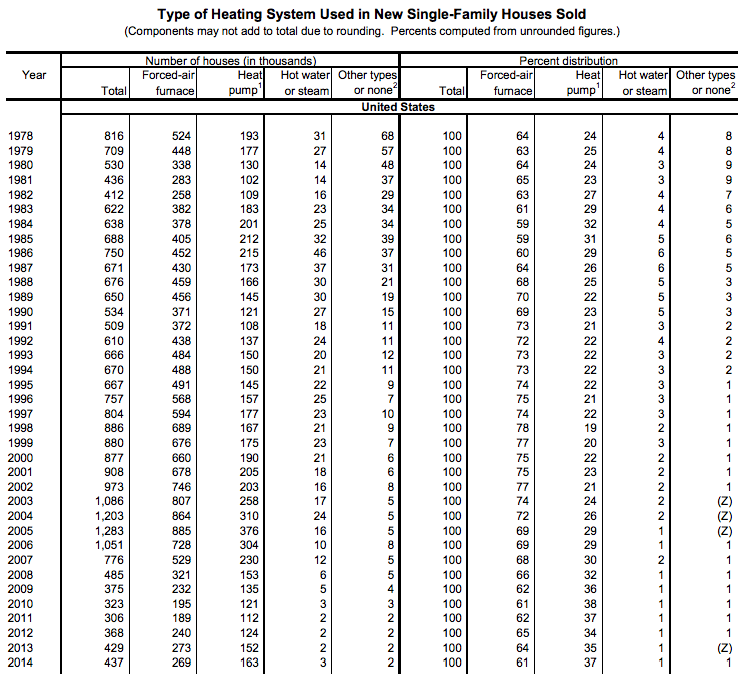 “Type of Heating System Used in New Single-Family Houses Sold.” P.1. Note 1: Includes natural gas and bottled or liquified petroleum gas (including propane). Note 2: Includes heating oil and kerosene. Note 3: Includes wood, coal, solar, and other types. Beginning in 2014, also includes heating oil and kerosene. 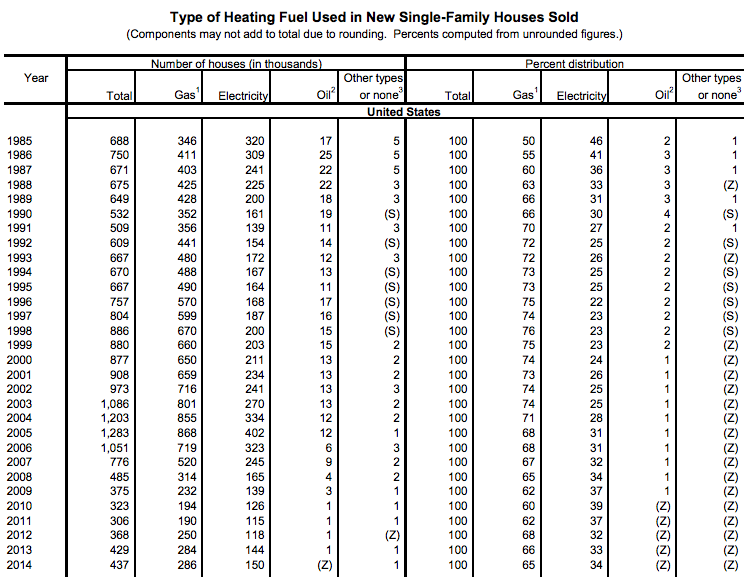 “Type of Heating Fuel Used in New Single-Family Houses Sold.” P.1. Note 1: Includes raised supports such as pilings and piers, and other types. 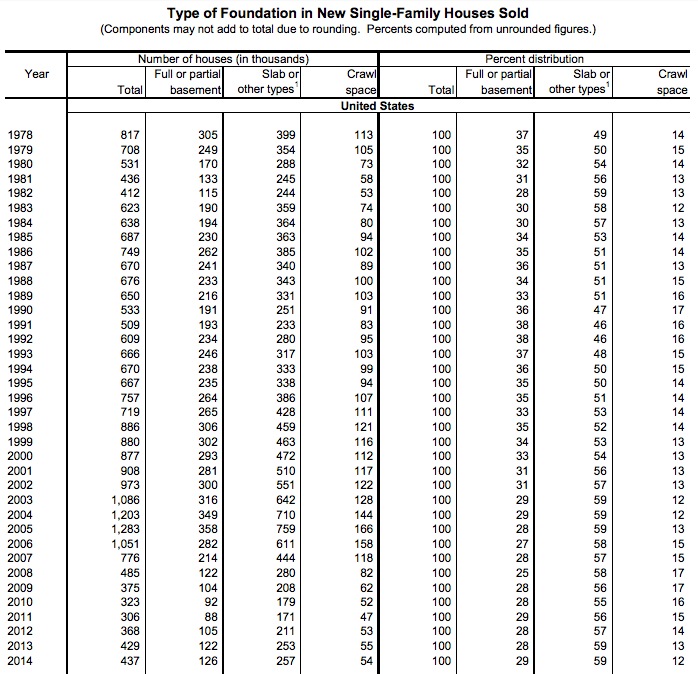 “Type of Foundation in New Single-Family Houses Sold.” P.1. Note 1: Prior to 1992, data included 2 cars or more. 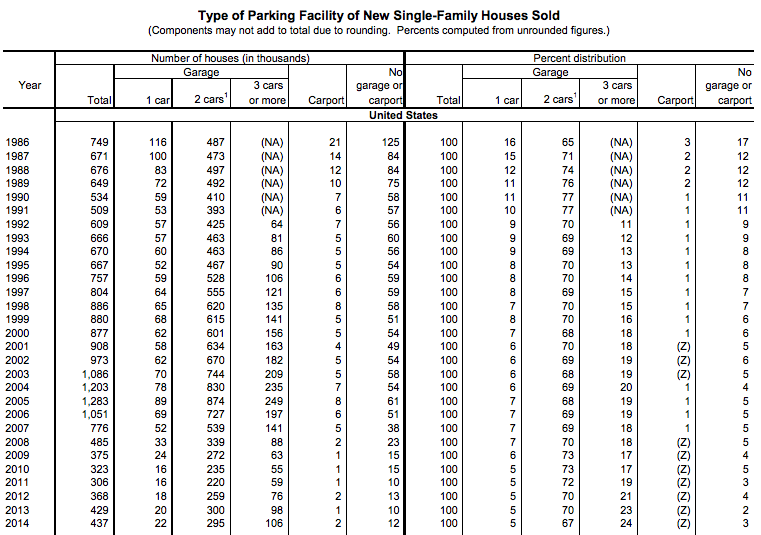 “Type of Parking Facility of New Single-Family Houses Sold.” P.1. Presence of Outdoor Features in New Single-Family Houses Sold, 2010-2014. 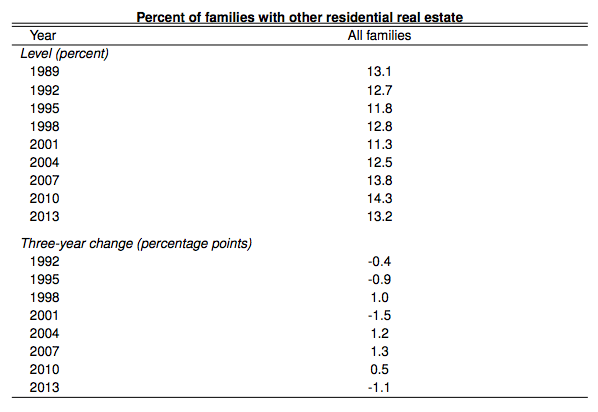 “Presence of Outdoor Features in New Single-Family Houses Sold.” P.1. “Lot Size of New Single-Family Houses Sold.” P.1. 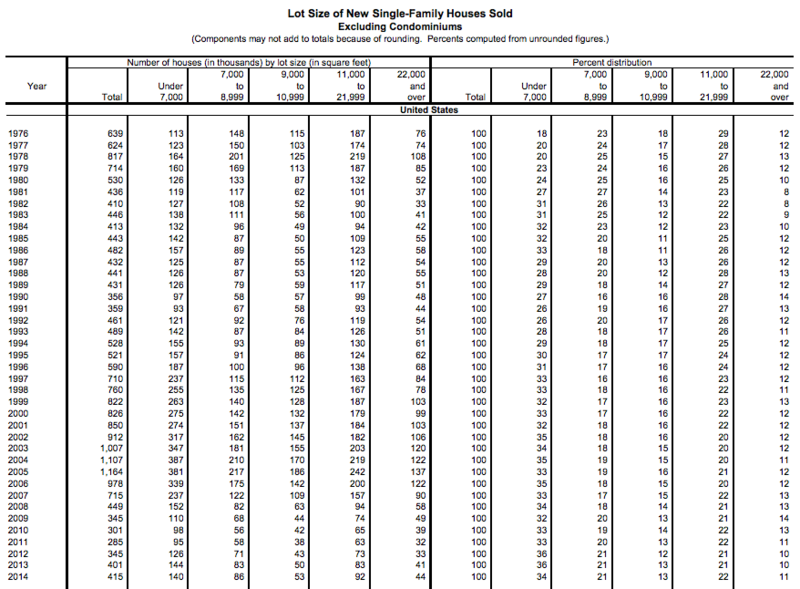 “Number of New Single-Family Houses Sold by Sales Price and Location.” P.1. All annual reports available here. US Census Bureau. July 1975.
src: Statista. Accessed May 18, 2016. Note: This /has to be/ Census data. TO-DO: locate Census source and import data to a Google Sheet. 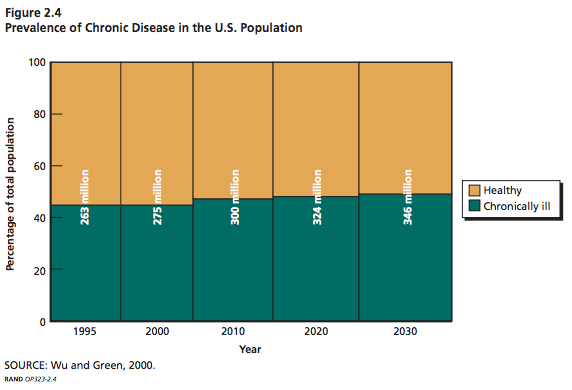 Uses 2013 Census Bureau data to make 5-year projections from 2015 to 2035. Low, middle, and high projections given. 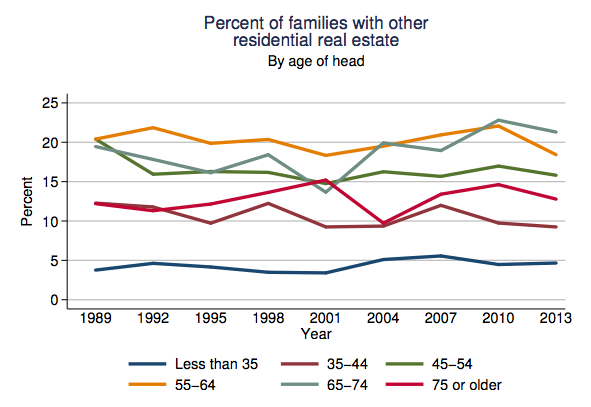 Includes households by age and race forecasts. Projects total households, married w/o children, married with children, partnered w/o children, partnered with children, single-parent w/o other adults, single-parent with other non-partner adults, single person households, and other households. Joint Center for Housing Studies, Harvard University. Click “Household Projection Tables” at the bottom of the page for the original Excel file. Also imported into this Google Sheet. Chart shows multifamily housing with the strongest growth in the last two years, improvements as the most stable over the whole period. Na Zhao. May 2, 2016. 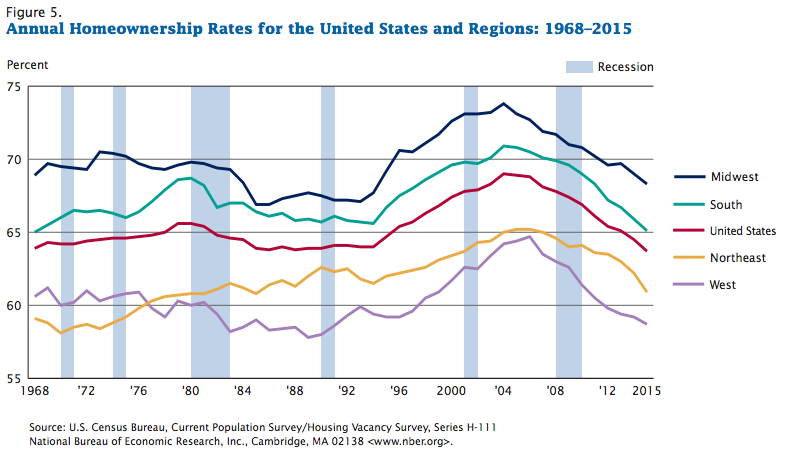 “Multifamily Spending Continues Record Breaking Pace.” NAHB Eye on Housing. In his talk, Dr. Hyndman discussed his research efforts to realize his long-term goal of understanding what models work best at predicting various types of time-series. Professor Hyndman demonstrated the aspects that make certain time-series more predictable than others by giving real-life examples based on his own research and work consulting for the Australian government. He explored different features that can be extracted from time-series and how they can be used to judge if something is predictable. 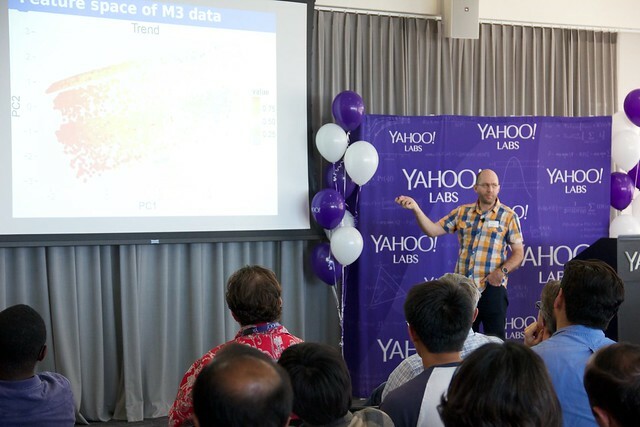 Professor Hyndman also talked about his work with Yahoo Labs on Anomaly Detection and how extracted time-series features can be used for finding anomalies. While Dr. Hydnaman’s goal of finding the right time-series model for a given dataset is still under active pursuit, his work on anomaly detection in collaboration with Yahoo Labs has already been open-sourced. The event was broadcast live on our labs.yahoo.com homepage and viewers had the opportunity to ask questions and comment on our Twitter stream @YahooLabs as well as our Facebook page. If you would like to learn what it takes to forecast and accurately predict the future, watch the full seminar here. 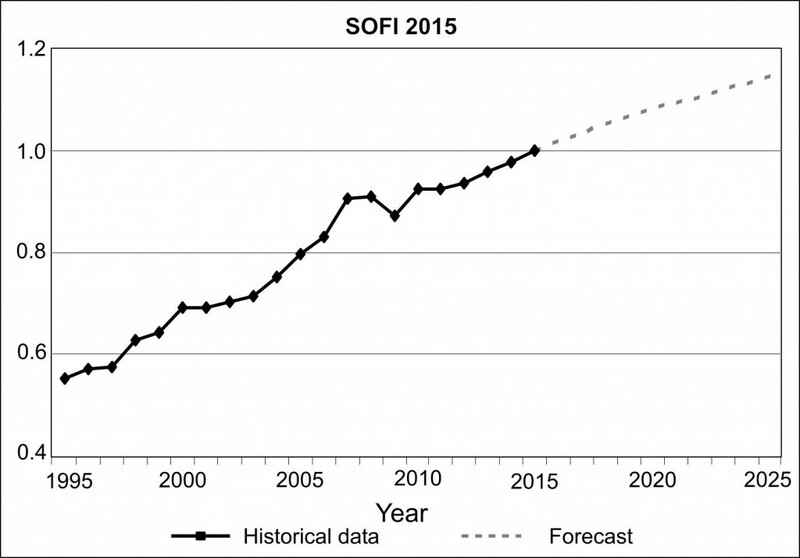 Great overview of basic forecasting methodology from Rob Hyndman. 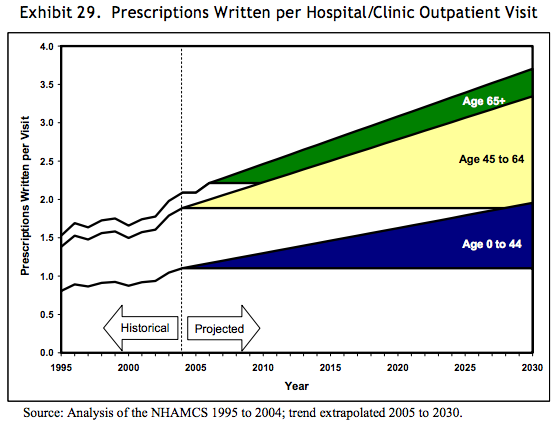 Rule of thumb – ok to forecast ahead a third of the length of your data. 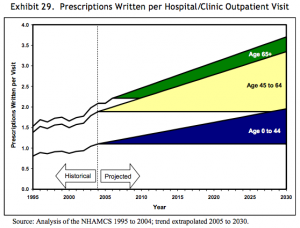 So, if you have 15 years of data, a five-year forecast should be pretty reliable. 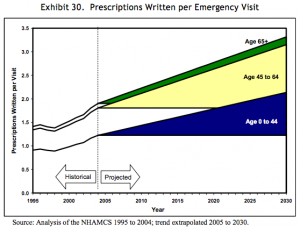 But doing a 20 year forecast based on 15 years of data is going to be pretty unreliable. Source: Bædkel, Anne Dencker. October 1, 2014. “The Future Is Already Here.” Scenario, 5.